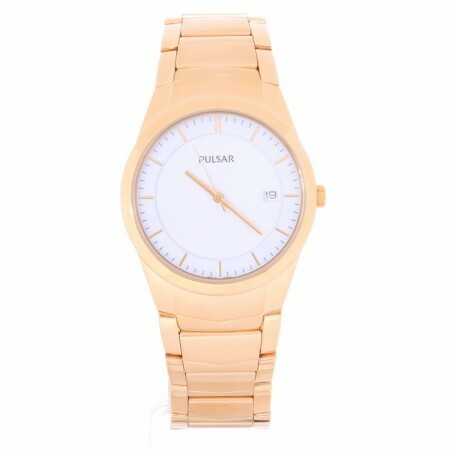 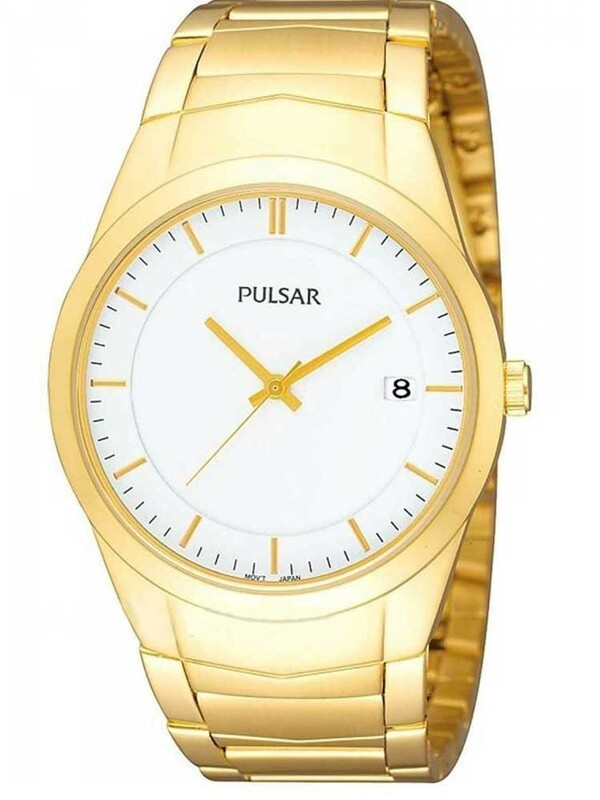 An eye catching Pulsar timepiece set in stainless steel and plated in gold. 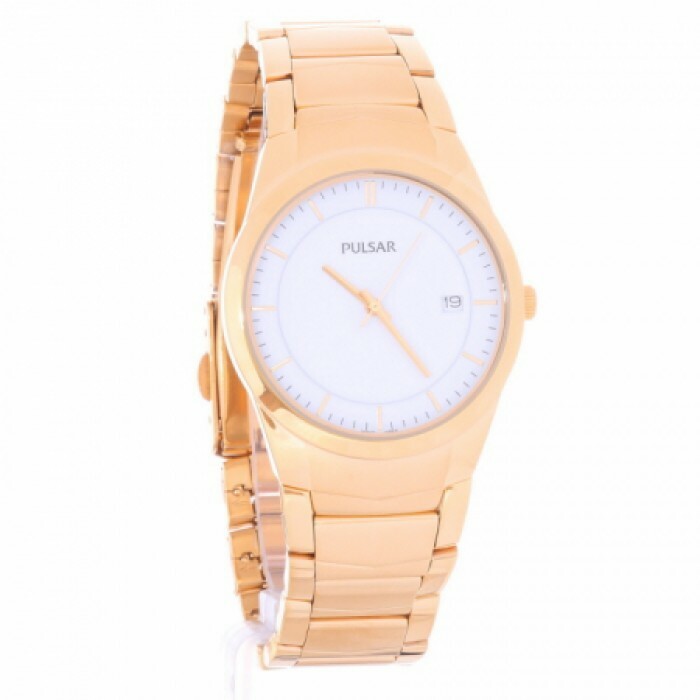 Smooth links make up a bracelet which holds the attractive white dial with date function. 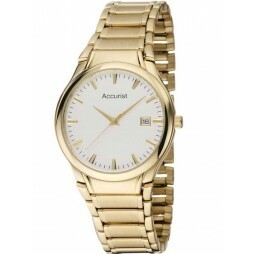 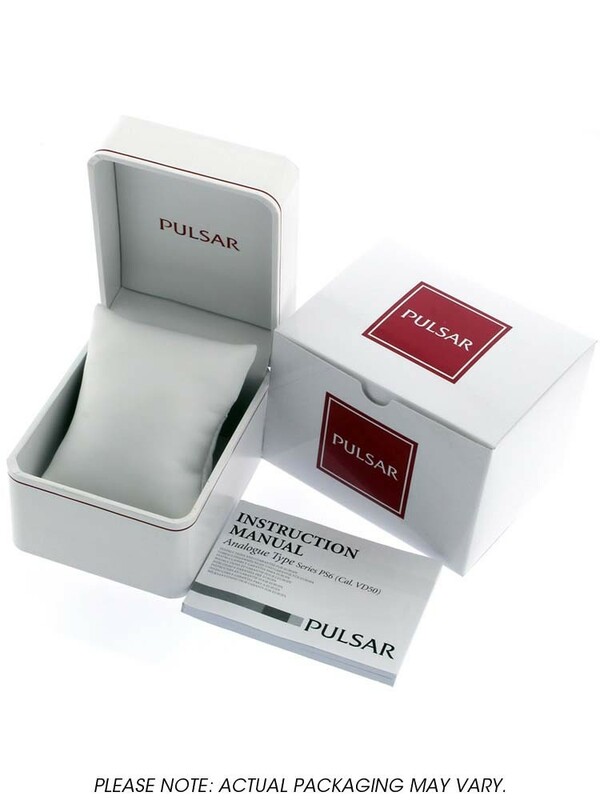 A great gift for someone special, for business or pleasure.